It may have been around for a while. But that doesn’t mean it hasn’t evolved. Far from it. The VLT® AutomationDrive FC 300 Series is now tougher and more intelligent than it has ever been before. Modular and adaptable, the VLT® AutomationDrive fits into any environment. Featuring the extremely compact new generation D- and E-enclosures and a wider operating temperature range – from -25°C to +50°C (-13°F to +122°F) – without derating, this robust drive operates effectively and reliably even with the most demanding applications and in the most challenging environments. 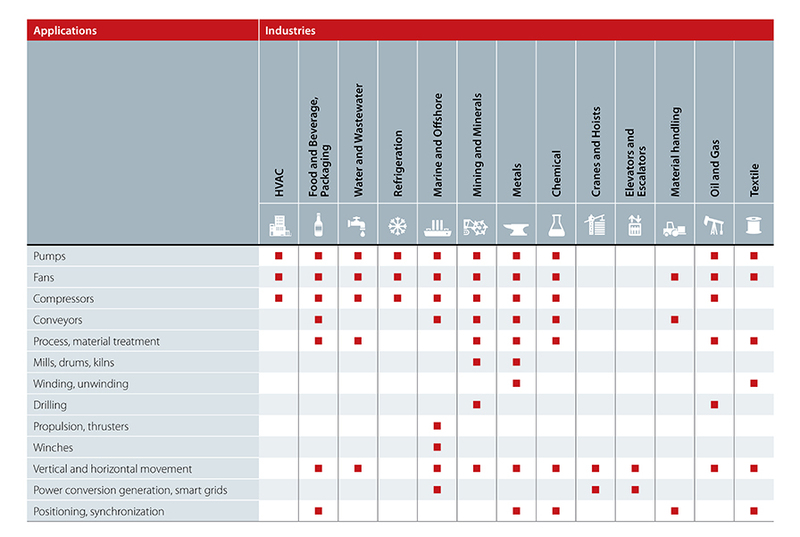 Additionally, a full range of 690V rated drives, options for ruggedization and high environmental class enclosures means that even the more challenging applications found in the Chemical and Marine industries are well served with the robust VLT® AutomationDrive. The VLT® AutomationDrive features both hardware and software enhancements that maximize performance and provide a level of application flexibility that truly boosts your business. The Integrated motion controller (IMC) provides advanced functionality to perform high-precision positioning or synchronization with asynchronous or PM motors with or without an encoder connection. Not only does the IMC save cost when your application doesn’t require the dynamic performance of a servo drive – such as rotary tables, cutting machines and packaging machines – but it also saves time due to the commissioning process requiring no advanced programming. Additionally, the Motion Control Options provide a way to replace mechanical controls with intelligent, energy-saving electronic solutions that result in reliable, high-quality processes that increase productivity and performance. With these options, it’s possible to add electronic cam control with the VLT® Motion Control Option MCO 305, reducing system and maintenance costs, or increase the capacity of applications such as palletizers with the VLT® Synchronizing Controller MCO 350. Regardless of your need, utilizing these options with your VLT® AutomationDrive increases control and operational efficiency, providing a faster return on your investment. When safety is your foremost concern, the VLT® AutomationDrive also offers many options to tailor your drive to meet your functional safety needs. From the standard Safe Torque Off (PL d, SIL 2) to the VLT® Safety Option MCB 150 and MCB 151 options that include several safe speed options, such as Safe Limited Speed (SLS) or the addition of PROFIsafe with the VLT® Safety Option MCB 152, there are several ways to meet your functional safety needs. We also have made safety commissioning easy using visual instructions within the VLT® Motion Control Tool MCT 10 that ensures both fault-free wiring and that safety parameters are correctly transferred from the PC to the drive. MCT 10 also offers easy diagnosis and the creation of a dynamic commissioning report required for safety acceptance tests. 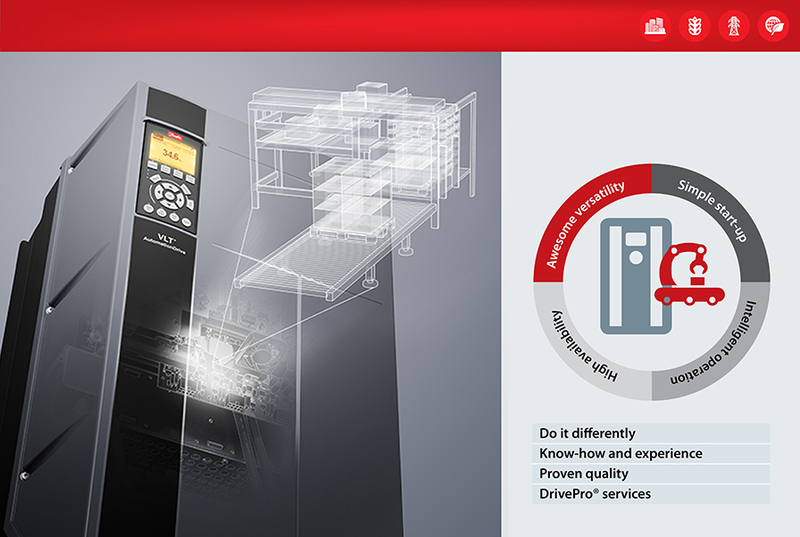 As with all Danfoss drives, you’re free to equip the perfect combination of motor and fieldbus technologies with the VLT® AutomationDrive. All common motor technologies – Asynchronous, Permanent Magnet (IPM and SPM), Snychronous Reluctance and Permanent Magnet assisted Synchronous Reluctance – are supported giving you the assurance that, no matter your application, it completely fulfills your requirements and optimizes your processes throughout the entire lifecycle. Visit our website to find out more about the drive that is packed with the intelligence to handle every possible industrial application. And don’t hesitate to leave a comment in the box below if there’s something else we can help you with. I am sorry to inform you I cannot help you with this. Danfoss is producing parts that are used as part of rooftop air conditioners, but we do not sell these devices themselves. My name is Mr Roland Donna I will like to purchase Rooftop Air Conditioner?